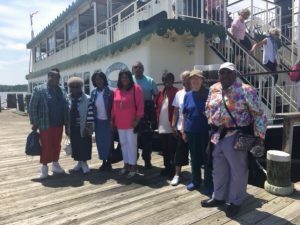 On Wednesday, June 13, 2018, the National Association of American Veterans, Inc. and its partner at Pennsylvania Avenue Village East took participants from the DC metro area to Hurlock, Maryland, on Maryland’s Eastern Shore. 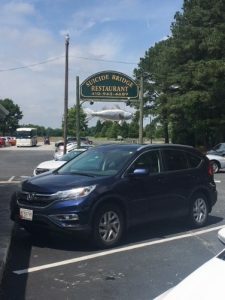 The participants traveled aboard the Chariot’s for Hire bus and arrived at their destination to have a catered meal featuring local seafood and Eastern Shore favorites aboard the Choptank Riverboat, which operates out of the historic Suicide Bridge Marina. 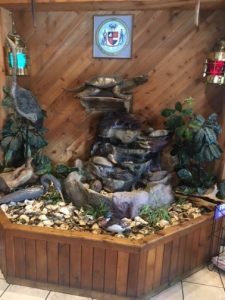 The Riverboat offers a lower deck with heating and air conditioning, and a covered upper deck for sightseeing or Crab Feast. The cruise lasted two hours on the scenic Choptank River, showing farms and homes along the waterway. 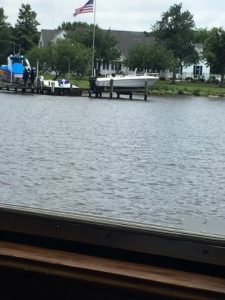 The Choptank Riverboat traveled through historic sites such as Gamaica Point, Warwick River, Green Point, Town of Secretary, Indian Purchase, Oyster Shell Point, Chancellors, Choptank River RT 50 bridges, and the City of Cambridge, and Cambridge Creek in Hurlock. For more information about Choptank Riverboat Cruise and Lunch, call (410) 943-4689 or email info@suicidebridge.com. The National Association of American Veterans, Inc. is a 501 (c) (3) nonprofit Veterans’ service organization established in 2005 and incorporated in 2006 to provide assistance to service members, Veterans, and their caregivers most in need of respite care, support with claims and benefits, housing, employment, counseling referrals, and emergency assistance resources and referrals nationwide. Through respite care for the caregivers, NAAV Military Family Program provides caregivers of service members and Veterans a much-needed break so they can carry on supporting their loved ones who fought in the wars in Iraq and Afghanistan and prior wars. All donations to NAAV are tax deductible to the fullest extent of federal law. To make a donation, visit https://www.naavets.org click on DONATE TODAY! Thank you. This entry was posted in Organization News, Veteran Caregivers, What's New. Bookmark the permalink.